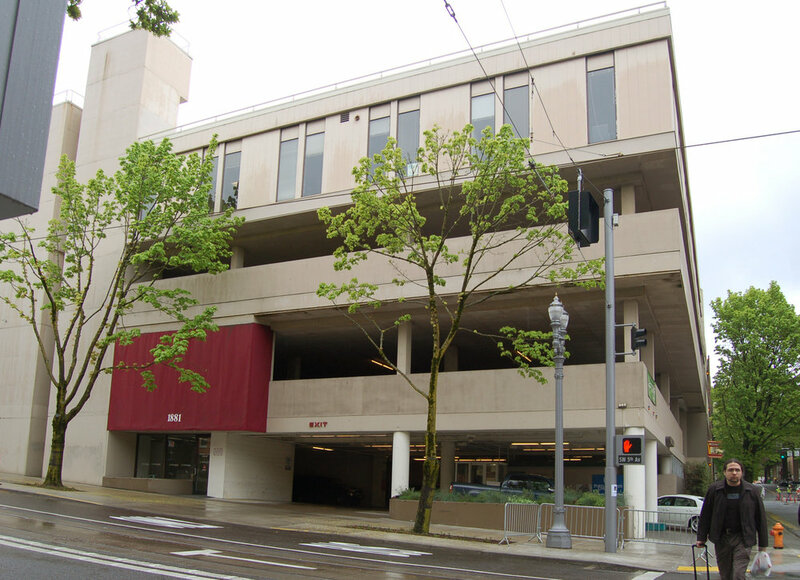 As part of a light rail extension along upper 5th and 6th Avenues in Portland, the State University agreed to upgrade several of its parking garage facades making them more pedestrian friendly and connected to the street. The project proposes a series of slender steel posts, two stories tall anchored in planters at ground level which support a network of cables. 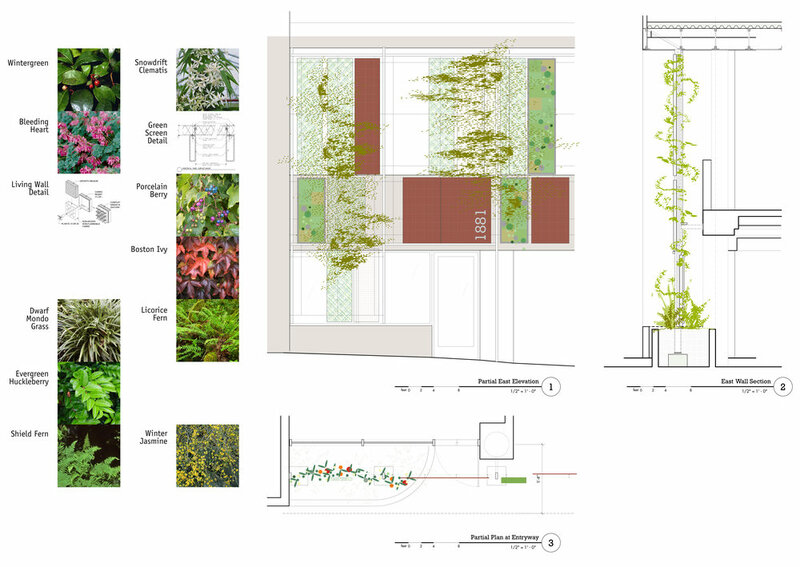 These cables in turn support a series of panels of different types - Corten steel panels with planter boxes behind, “living wall” panels with native species such as evergreen huckleberry and licorice fern, and mesh designed for climbing vines such as evergreen clematis, Virginia creeper, and winter jasmine. 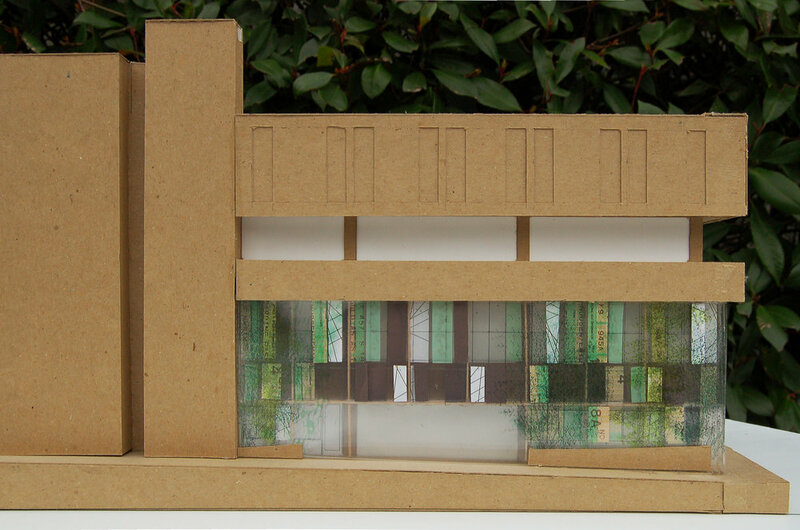 The project animates the intersection with living things that change throughout the year, captures carbon and filters atmospheric pollutants, contributes to a vibrant streetscape, and improves the local micro-climate. Project cancelled for University-wide budget reasons.